~ FACT-335-B1 *, Max, Pouls! 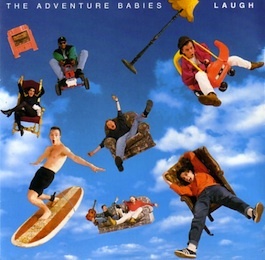 * Titled "Laugh - 4 Tracks From The Summer Album of '92". Notes: There is a 40" x 60" promotional poster for Laugh and Barking Mad. The "Live At Heaton Park 4.8.91" promo video may have been used for this release.